Plot: When good King Richard (a lion) left for the crusades, he left his brother Prince John as ruler of England, despite the fact that they were both voiced by Peter Ustinov. The rooster minstrel Alan-A-Dale (Roger Miller) tells us the story of the crusader who fought against John – a clever fox named Robin Hood (Brian Bedford), who defended Sherwood Forest with his friend, a bear named Little John (Phil Harris). The two outlaws disguise themselves and rob a coach carrying Prince John and his right-hand snake, Sir Hiss (Terry-Thomas). John’s flunky, the Sheriff of Nottingham (Pat Buttram) makes the rounds to collect the exorbitant taxes from the townsfolk, snatching up every cent Robin’s friend Friar Tuck (Andy Devine) has managed to smuggle to them, even snaring a rabbit child’s birthday present of a single coin. As he leaves, Robin arrives in disguise and gives the boy a bow and arrow, along with one of his hats. 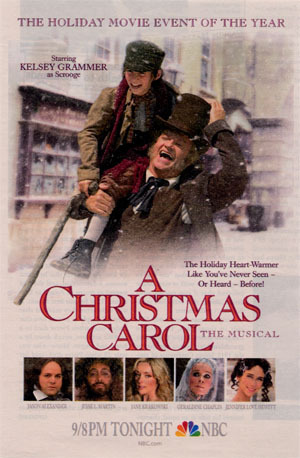 The boy, Skippy (Billy Whitaker) leads his friends to play, but loses the bow in a palace courtyard. When he goes to retrieve it, he encounters Maid Marian (Monica Evans) and her friend Lady Cluck (Carole Shelley). The kids question Marian about her past relationship with Robin, and Skippy winds up playacting a “rescue” of Marian, culminating with her giving the unsuspecting boy a kiss. Back in the forest, Robin is busy mooning over Marian himself when Friar Tuck brings him the news of an archery tournament, with the prize to include a kiss from Marian. Robin cannot help himself from entering the tournament, albeit disguised as a stork. He wins easily, but his disguise slips and he’s captured. Before the Sheriff can execute him, Little John forces the Prince to release him, and taking Marian with him, Robin and the others flee into the forest. When Prince John learns how the people of Sherwood have begun to mock him, he triples the taxes and arrests anyone who can’t pay. The Sheriff tries to empty the church’s poorbox to line John’s coffers, sending Friar Tuck into a rage. He’s arrested and John sentences him to death in order to lure Robin Hood out of hiding. Disguising himself as one of the Sheriff’s Vulture henchmen, Robin sneaks into the palace late that night. Little John frees the Friar and the rest of their friends who have been arrested, while Robin sneaks off to steal the sacks of money in Prince John’s private quarters right under the sleeping prince’s nose. As he makes off with the last of it, Sir Hiss wakes up and alerts John (in a cartoonishly violent way). After a daring escape, Robin dives into the moat, followed by a shower of arrows, and Prince John believes him dead… but he pops up and chimes out “A pox on the phony king of England!” sending Prince John crying for his mommy. Eventually, King Richard returns to England and pardons Robin and his men, placing John, Sir Hiss, and the Sheriff in irons, just in time for Robin and Marian’s wedding. Thoughts: As with many people my age, this was the first version of Robin Hood I remember seeing, and in fact was the only version I was aware of for many years. 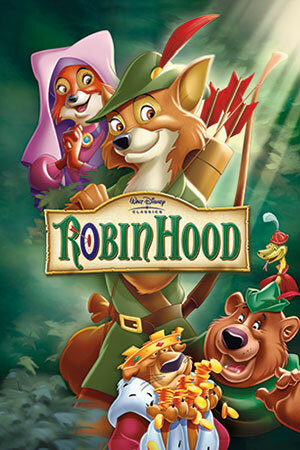 In fact, even though Roger Miller’s Alan-A-Dale starts the movie by pointing out there are many versions of the Robin Hood and that this is, in fact, the version told by the animals, I remember being distinctly surprised when I got a little older and realized that Robin Hood was not, in fact, an original Disney character, and that what’s more, most versions of him were human and did not start anthropomorphic animals. Then I had to stop and look up what “anthropomorphic” meant, because I was like eight years old. The 70s were sort of a nebulous time for Disney. Walt was gone and, although it was still many years before the company’s second renaissance would begin with The Little Mermaid, it was also long before they would really hit the skids in the 80s. There’s a roughness to the quality of the films of the period, and while it now marks them indelibly as products of their time, it’s also the time in which I was introduced to Disney animation. I’ve got a soft spot for it. Even this film has a lot going for it in terms of animation and performance – the way Sir Hiss slithers his body underneath himself to simulate the elbows of a petulant teenager is a great image that gives you the perfect amount of character development. Brian Bedford and Phil Harris as Robin Hood and Little John remain the voices I hear when I think of the characters, and folk singer Roger Miller made for a fantastic bard. The movie also sidesteps the usual beginning of the Robin/Marian relationship. In the Flynn movie, and in most other versions, the two are initially at odds, as he’s an outlaw and she’s a ward of the King and (technically) under the protection of the Prince. In this version, Marian loved Robin as a young girl and still does, eliminating the need for him to win her over and cutting right to the chase. I would imagine this is in deference to the cartoon nature of the film – while the scenes of Robin winning Marian over can work really well from an emotional standpoint, I can imagine in 1973 the animators thought a young audience would lose patience with such a thing. Compared to the Errol Flynn film, the villains are far less menacing. Prince John is a spoiled mama’s boy with no air of danger about him whatsoever. Sir Hiss – a stand-in for Sir Guy of Ginsbourne – is a pompous, browbeaten serpent. The only thing about him that’s even remotely dangerous is his ability to hypnotize people, which he never even really uses to any serious effect once the story begins. (Dispatching Richard on the Crusades, the most important plot point to his hypnotism, happens before the film opens.) Only the Sheriff is an improvement in the villain department from The Adventures of Robin Hood, and that says more about the latter’s buffoonery than anything in favor of the Disney version. He’s less oafish and more dangerous than the other two, but still not the sort of villain that would give any kid trouble sleeping. The biggest complaint I’ve got about the film is the ending. The final rescue at Prince John’s palace is fine, but Richard’s return to the throne and the arrest of the villains happens entirely off-camera. It’s not all that satisfying to cut from Robin’s escape, even as the prince pouts, to seeing them in chains with nothing in-between. Sure, these cartoons films are often short (at a crisp 83 minutes there’s little filler in this movie), but it certainly feels as though they could have given us just a bit more closure. This isn’t the grand adventure of the Errol Flynn Robin Hood nor the attempt at an epic that the character would take later. It is, however, a grand and entertaining family version of the film with some sweet music, excellent voice performances, and mid-era Disney charm. It’s hard to say anything bad about that.